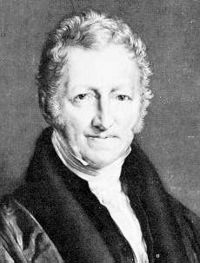 "If he should succeed in drawing the attention of more able men to what he conceives to be the principal difficulty in the way to the improvement of society and should, in consequence, see this difficulty removed, even in theory, he will gladly retract his present opinions and rejoice in a conviction of his error." "pestilence, famine, war, and natural disaster"
The scarcity based on an arithmetic progression of food and the geometric progression of human population. Historical reflection on the inevitability of restraint. Tertullian, four constraints that prune back the potential luxuriance of population. Benjamin Franklin, noting the doubling of North America's population every two decades as an upper limit to growth. Marquis de Condorcet on the perfectibility of the human intellect & the social condition. Malthus' law of population's growth rate as geometric contrasted with the growth rate of food which is arithmetic. Jeremy Bentham's felicific calculus of the "greatest good for the greatest number." "A man who is born into a world already possessed, if he cannot get subsistence from his parents on whom he has a just demand, and if the society do not want his labour, has no claim of right to the smallest portion of food, and, in fact, has no business to be here he is. At nature's mighty feast there is no vacant cover for him. She tells him to be gone, and will quickly execute her own orders, if he does not work upon the compassion of some of her guests." I think I may fairly make two postulate. Assuming then my postulate. 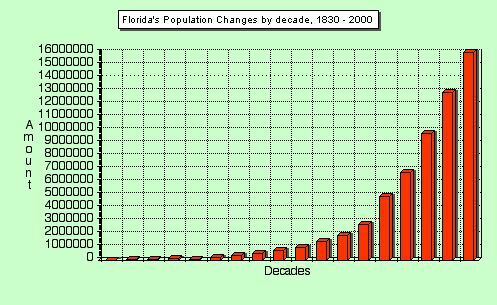 as granted, I say, that the power of population is indefinitely greater than the power in the earth to produce subsistence for man. The Essay on Population, long version.